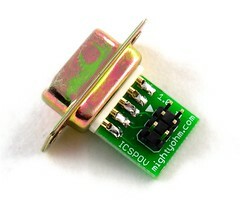 Due to my upcoming travels to 28C3 and NYC, I will not be shipping any kit orders between December 25th and January 11th, 2012. I plan to resume shipping by 1/14 at the latest. If there are any unexpected delays (eg. getting stuck in NY due to another snowpocalypse) I’ll post to the blog. 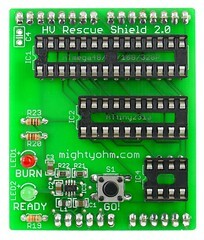 This week I’ve been busily shipping orders for the HV Rescue Shield 2 and the ICSPOV. Some folks have been buying one of each kit and building their own mightyohm sampler pack. Cool! While the shipping notes on the product pages say to allow 1-2 weeks, this is really the worst-case scenario (parts shortages, I’m on travel, etc.). Typically I ship within 3 business days max, and often I ship the next business day if possible. Domestic customers, you will typically receive your order within 5-6 business days. International shipping takes quite a bit longer because of the shipping time and customs delays. I will not be shipping orders between Dec. 23rd and Dec. 30th, so if you place an order during this time, you’ll get it sometime after Jan 1st. If you want kits sooner, order before 12PM CST on Dec 22nd. Lastly, I want to thank everyone who has placed orders this week. Thank you!